Search engine optimization has now become a must for every online business. If you are willing to become a good company you have to be very vigilant about everything that you are doing. You have to deal with the competition that is coming towards you at an ever faster rate. This makes it very important for every business to find someone to provide them with SEO services. If you skip this crucial step, chances are that you will have to face the consequences. This is why the companies who have a good SEO strategy backing up their business plan are able to compete with the ever increasing competition. But at times people go too far in everything. It is a commonly understood fact that if you are overdoing anything, it might do more harm than good. That is why SEO strategies are meant to be made very effectively and subtlety. But many business owners forget this and hire people who do not have a proper understanding of all the procedures of a good SEO strategy. This was useful a few decades ago when search engines were not ready for the trend in SEO. They used to filter the pages that had a specific key word in it. But now things have changed completely because search engines are become more and more efficient. Every day a search engines comes up with newer and better strategy to deal with the people who used to post irrelevant material with the relevant key words. That is why the whole idea of semantic search came into being. 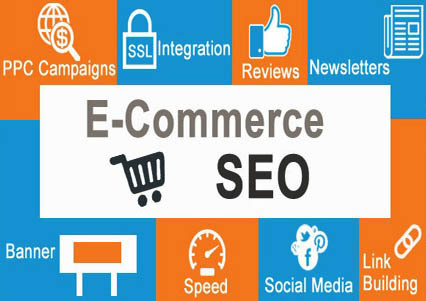 It is a very important concept to understand for the people who are dealing with Ecommerce SEO. If they are not vigilant enough and do things with care they do not have any chance in the current scenario. The search engines have utilized many tools to make sure that no one gets pass the scrutiny they have and get the best ranking. This has in turn changed the quality of search results all together. Now we get better results that are just according to our wishes in our SEO strategy. Semantic search is a procedure by which search engines are able to interpret the meaning of the search that is being made by the user. At times people do not type the exact spellings or the exact description of their required answers. In such cases search engines can assume the closest possible meaning of their question. This is how a goof quality of searches can be maintained by a search engine. But as much as this technique is useful, it has also lead to some problem for the SEO service providers because now they have to play very smartly. There is no fooling anymore; you have to become the best to get the best search results. Following are some of the basic reasons as to why the semantic search is one of the best tools that search engine can employ. With this new technology, it has become very easy to find our relevant content on the internet. At times people are unable to define what exactly they are looking for and they tend to type the wrong spellings or query. But now things have changed completely. Even a person who does not have any understanding of many things can type his query and get best possible answers. This is all because of the efforts of search engines to provide best of the best results to their user. As much as the user experience is getting better, people feel more comfortable to use them and get the best possible answers for themselves. Now that everyone knows that search engine is able to read and understand and even interpret different content, the choice is quite clear. If they want their content to be chosen as the most relevant one, they have to increase the quality of their content as well. This is leading to a good supply of best quality content from the people. This is how the semantic search option has made people to start using internet in the way it was supposed to be. If you want to be the best you have to work for it as well. If you do not want to provide the best content quality then you should not be the one to get the best ranking as well. When a person buys a good Ecommerce SEO package he makes sure that the company that he is choosing is able to provide him with the best results of them all. That is why now a day’s people are very conscious to actually become the best rather than just pretending to be the best. On the other hand semantic search has provided the people with a belief that all the good content and the best of them are displayed in front of them. That is what makes Semantic search a big step ahead to get the best services possible for the user. With the new trends in search engine’s way of looking at the content, people have started providing new and better techniques to optimize the content too. Semantic search options have made the service providers more vigilant and they are going to fulfill their content with the value optimization techniques. As far as the searches are concerned, you can’t leave everything on the search engine because you still have to convince it that your content is better than all others. That why search engine optimization has to be made even better. Gone are the days when you used to provide an average content with a lot of key words and it was chosen by the search engines. Because of the semantic searches, now the search engines do not credit key words as much as they once used to. This is what has made key words a relatively lesser important a factor in SEO.